Okay, so at this point it's been more than a year since my injury, and I have completed physical therapy and been discharged from concussion follow-up. When I truly reached Maximum Medical Improvement (MMI) the opposing counsel on my case filed a Notice of Controversion, stating that they were no longer going to pay for my medical treatment. Which was fair, because I was done with medical treatment anyway. Sometimes the insurance company will file a Notice of Controversion for nonsense and see if you will fight it. But this is not one of those times - I was legitimately done with treatment. So I did what any normal girl would do. I asked the defense counsel if he was interested in settling the case. BTW, have you read parts I and II of this story? Now here's the thing. 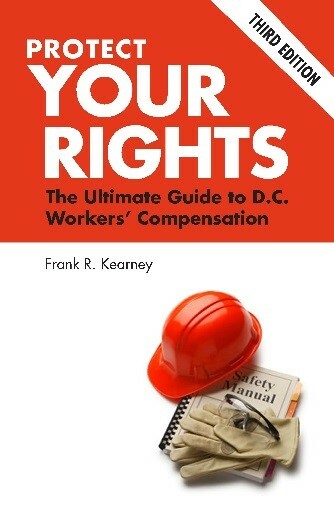 I'm super lucky because I read Frank Kearney's book on DC workers' compensation (get yours for free today) because most people don't even know that settlement is a part of the process. If I had been uneducated, I would have seen the Notice of Controversion and, knowing that I was done with treatment, thrown it into the big pile of mail in my entryway and probably never seen it again. It's not like I would be gunning for opportunities to converse with more attorneys who take themselves way too seriously. But, because I did read Frank Kearney's DC Workers Comp book I said "Are you interested in settlement" to which they replied "yes." They started off with a very low-ball offer and that was fine with me because I know how to counter-offer. I countered something ridiculous (okay, I had to have a little fun in the process) and they moved the needle just a little. At some point I had to stop having fun and do the actual calculations and we landed somewhere that was above and beyond what I would expect to pay in future medical treatment, but just enough to provide a little leeway in case it ended up being more expensive to treat my injury on my own. The amount I received was generous, and I felt good about it from a moral standpoint (probably wouldn't be the case if they had acceded to my ridiculous "out of the gate" offer). They sent me the settlement agreement, which I reviewed and signed. The language was all standard - nothing fancy. But if you aren't familiar with contracts/agreements and how to read them, you should probably have a lawyer look over any settlement agreement that you sign. I did have to make sure I was totally comfortable with a "full and final release" -- which means that I could never come back to the insurance company for any kind of further benefits. Just a few weeks after I signed and returned the agreement, I received a lovely check in the mail (which is making my savings account look rather robust). So far I have not had any further medical treatment required (although that may change considering how hard I hit my head the other day trying to see inside my closet -- clumsy much)? Oh and by the way, my real name is Brooke. Yes, Brooke Birkey. 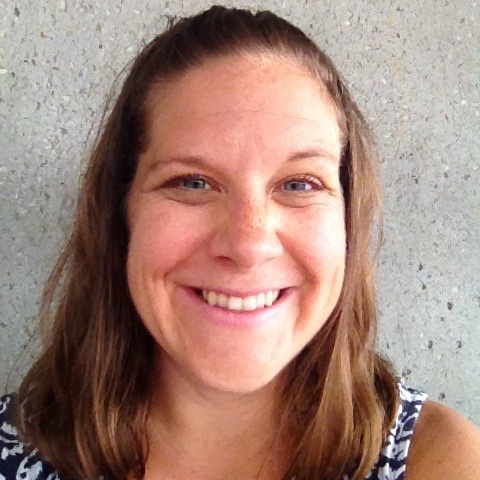 Legal Assistant at Donahoe Kearney. Okay, you've got me-- I've been through the workers' comp system! I know exactly how it feels, what the process is like, and how it is to be treated suspiciously by a defense attorney and/or adjuster. I know exactly what a hassle it is to deal with the system, how difficult it is to fit multiple sessions of physical therapy into your schedule (and pay for all that transportation because of course you can't get there by metro). I'm familiar with the anxiety, and how it feels to feel defined by your injury. If you are dealing with the workers' compensation system and you are losing your mind (yes, that's a thing) and you were injured in DC, MD, or Virginia give us a call! You deserve to have all of the information in your hands (Frank's book on workers' comp) just like I did so I didn't have to be afraid of the process! Or the adjuster. Or the defense attorney. As a client I do find the material good reading especially at odd times. Sometimes, I do have questions and your newsletters are a good resource material for me and I do forward to friends. So don't get stuck in the trap of thinking you can handle it on your own when really you can't - and you shouldn't. At least not without reading this book. You'd be a fool to even try it without reading this book. And if you have questions give us a call at 202-393-3320 - we are happy to help! Click here to order the book right now - don't wait another moment.